Workers Compensation laws are designed to compensate an employee or their family members for work related injuries. But too often the benefits due are not paid. Frequently victims are forced to suffer court delays and lengthy appeals before obtaining any Workers Comp benefits. Employees seeking Workers Comp need the assistance of a Baltimore workers comp lawyer who represents their interests and who fully understands this area of law. The worker’s compensation insurance companies and your employer have insurance adjusters and attorneys who are very well trained to represent the insurance company interests only. Insurance adjusters and Insurance Company Attorneys do not work for you and do not care about you. Insurance adjusters and Insurance Company Attorneys are under no legal obligation to tell you what benefits you are entitled to. YOU NEED A WORKERS COMP LAWYER TO OBTAIN FOR YOU THE BENEFITS YOU DESERVE! The Workers Compensation laws also provide benefits for dependents of those workers who are killed because of work-related accidents or illnesses. Being represented by an experienced Workers Compensation attorney is important. Attorney Marc Atas has successfully represented workers throughout Maryland in their Workers Compensation cases. 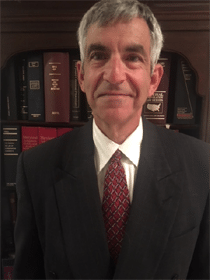 Baltimore Workers Comp Lawyer Marc Atas is also highly-experienced representing Maryland State Employees as well as Local Government employees who have been injured on the job in Baltimore and throughout the State of Maryland. Not all on the job injuries are covered under Maryland’s Workers’ Compensation Law. There are two types of Workers Compensation claims. Consult with an experienced Baltimore Workers Comp Lawyer to see if your injury is covered.There are many injuries that occur off the work premises and sometimes off the clock that have some relationship to work and may likely be covered by Workers Compensation. Can You Believe This is Covered by Worker’s Compensation? Maryland law states an employee has the right to treat with the doctor of their choice when injured on the job. While a doctor may require you to get permission from an insurance company before they will provide treatment, Maryland Workers Compensation Law does not require such permission. If the Insurance Company refuses to authorize the doctor visit and your Doctor will not see you without the Insurance company authorization, then The Law Office of Marc Atas and Associates can find you a well-qualified Doctor who will treat you without an Insurance company authorization. When the Insurance Company refuses to authorize medical care or refuses to pay you for lost time, it will be necessary for your Workers Comp Lawyer to request a hearing and go to court to fight for your benefits. Contact The Law Office of Marc J. Atas and Associates, Baltimore Workers Comp Lawyer to assist you with your workers comp claim. Free Initial Consultation and NO Fees or Costs Unless We Win. We WILL GET YOU THE BENEFITS YOU DESERVE! YOU NEED A WORKERS COMPENSATION LAWYER YOU CAN AFFORD. Is there an initial cost to meet with you? The simple answer is no. The initial consultation is free. Often, I can answer simple legal questions over the phone. My general philosophy with regard to giving legal advice is as follows. If you have a relatively simple question, that can be answered based upon my present knowledge,I will be glad to answer to question or give you some guidance without charging you for my expertise. I have had wide legal experience over more than thirty-eight years, so there are many topics that I am familiar with. If I do not know the answer, but can figure it out with minimal work,for an old client there is likely to be no charge.If the matter is outside of my areas of knowledge or expertise, then I still encourage clients to call. I like to act as the gatekeeper for all of my clients’ legal problems. I keep a list of lawyers I recommend for all types of legal problems. Most of these lawyers I personally know or have referred clients in the past with successful results. A lawyer can- not possibly know all of the laws in all of the areas of law. It is hard enough to know all of the law in one area of expertise. See the next section for further details regarding contingency fees in workers compensation cases. The initial consultation is important to the lawyer as well as the client. For the client it is your opportunity to meet the lawyer and tell him about the case. Questions should be asked of the lawyer regarding your case, as well as about the lawyer. Clients should size up the lawyer at that time to make sure the lawyer is someone the client wants to work with. If you take my case, how is your fee determined? Workers’ compensation fees are set by the Workers’ Compensation Commission. Workers’ Compensation fees are based on a percentage of any permanent injury award. If there is no permanent injury award there is no fee. Workers Compensation fees are on a sliding scale starting at twenty percent of the permanent injury ward and as the award gets higher later amounts of the awarded fee are based on either fifteen percent or ten percent. The workers compensation commission also sets a maximum fee that can be awarded in a worker’s compensation case. All attorney fees are paid by the insurance company from your permanent injury award or settlement usually at the end of the case.If a hearing is required to get you paid for your lost time from work, there may be a fee allowed of ten percent of any back benefits ordered. In addition, clients will be responsible for reimbursing the attorney for any expenses incurred by the attorney only if there is a permanent injury award or settlement Expenses are explained in the next section. What are “legal expenses” and who pays these? Legal expenses include the costs of obtaining police reports-$10-$20.00, as well as doctor and hospital bills and reports. In addition when workers compensation cases are on appeal, legal expenses include the filing fee for the court-$30.00 to $180.00, private process servers-$50 to $150.00 per service,court reporter charge for a deposition-$250.00 to $750.00, doctor charges for testimony, video costs for video deposition of experts, expert fees for testimony and finally the costs of any private investigator or other expert needed in order to prove your case. The costs the lawyers have to pay for medical records and medical bills can add up. Under the old law it was not uncommon for a hospital or doctor’s office with hundreds of pages of records to charge five hundred dollars or more for photocopying medical records. Fortunately, in 2016 the Maryland legislature limited the maximum fees that could be charged for medical record copying to the sum of $102.88.see statute at end of article. If specific information is requested from your medical provider that he has not automatically put in your medical record, the doctor will usually require a separate fee to provide specific information requested. Often, this information is crucial to your case. The typical cost for this type of letter can be between two hundred and fifty dollars to seven hundred and fifty dollars. Some law firms charge for long distance telephone, calls, photocopies and research time, but we do not. The client is normally only responsible for the costs if we recover money in your workers’ compensation case. If there is no recovery then the client usually will not be responsible for those costs unless we agree otherwise. (c) (1) (i) In this subsection, medical record includes a copy of a medical bill that has been requested by an individual. (ii) The provisions of this subsection do not apply to x-rays. For all other health care providers, a reasonable cost-based fee for providing the information requested. (3) (i) Except as provided in subparagraph (iii) of this subsection, for a copy of a medical record requested by a person in interest or any other authorized person under paragraph (2)(ii) of this subsection, a health care provider may charge a fee for copying and mailing not exceeding $0.76 for each page of the medical record. The actual cost for postage and handling of the medical record. The actual cost for postage and handling of the Electronic Format Medical Records. (i) Except as provided in subparagraph (ii) of this paragraph, the fees charged under paragraph (3) of this subsection may be adjusted annually for inflation in accordance with the Consumer Price Index. (ii) The preparation fee charged for medical record retrieval and preparation under paragraph (3)(ii)1 of this subsection and for retrieval and preparation of a medical record in an electronic format under paragraph (3)(iii)1 of this subsection may not be adjusted annually for inflation in accordance with the Consumer Price Index. (i) Except as provided in subparagraph (ii) of this paragraph, a health care provider may charge a fee, as authorized under paragraphs (3) and (4) of this subsection, for the retrieval, copying, preparation, mailing, and actual cost of postage and handling of a medical record disclosed under ‘ 4-306 of this subtitle. (ii) If a government unit or agency makes a request for the disclosure of a medical record under’ 4-306 of this subtitle, a health care provider may not charge the government unit or agency a fee for the retrieval, copying, preparation, mailing, and actual cost of postage and handling of the medical record. 4-304(3)(iii)(1 ) allows for a preparation fee of $22.88 for the provision of EMR. This is the same charge as that for paper records. 4-304(3)(iii)(2) provides the most significant reduction in allowable fees for EMR in limiting the per page fee to 75 percent of the per page fee charged by a health care provider under paragraph (3)(i) of this section that may not exceed $80. The per page fee allowed by paragraph (3)(i) is currently 76 cents. 75 percent of 76 cents is 57 cents. Given the cap of $80 on the overall per page fee, this means that the first 140 pages of the EMR will be billed at a rate of 57 cents per page. The charge cannot exceed $80 regardless of the number of pages. 4-304(3)(iii)(3) allows for the charge of actual postage and handling and is unchanged from prior law. 4-304(4)(i) applies the annual CPI adjustment to the fees charged, however, 3-304(4)(ii) exempts the $22.88 preparation fee for both paper records and EMR from that adjustment, providing a $22.88 preparation charge in perpetuity. The bottom line is that as of October 1, 2016, the maximum charge for the provision of EMR charts of 140 or more pages will be $102.88 ($80 + $22.88) plus actual postage and handling. Smaller charts will cost less. No longer will we receive invoices for thousands of dollars for records billed at 76 cents per page even though they are maintained and provided on disc at the push of a button. No longer will our offices have to spend valuable time arguing and negotiating with health care providers and their third- party copy service surrogates over outrageous. 1. What benefits am I entitled to and what is my Workers Compensation case worth? 2. How long will my case take? 3. What questions will they ask at a hearing? The Blog articles below will attempt to answer those questions. There are numerous benefits you may be entitled to as a result of a work- related injury. Once you understand what benefits you may be entitled too, then you will understand what your case is worth. 2. 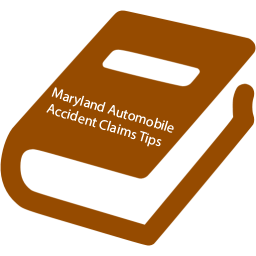 HOW LONG WILL MY MARYLAND WORKERS COMPENSATION CASE TAKE? Workers compensation cases can often take years to be completed. The road-map below will explain every step that will likely occur in your case and how long each step takes. Any employee injured on the job, is entitled to workers’ compensation benefits regardless of whether the accident is the fault of the employer or the fault of the employee, unless the employee is guilty of gross misconduct. Workers Compensation is a no- fault system. Every employer in the State of Maryland is required to purchase workers’ compensation insurance. You are not suing your employer when you file a worker’s compensation claim. All workers’ compensation benefits are paid by that insurance company and as long as there is insurance, the employer is not responsible for any payments. Other than a workers’ compensation claim, no claim is actually filed against your employer, although he is notified that a claim has been filed with the Workers’ Compensation Commission. Your employer has workers’ compensation insurance in order to protect you if you are injured on the job. Workers compensation is a benefit your employer provides similar to health insurance, sick leave or vacation pay. Under Maryland Workers’ Compensation law unless the employer intentionally hurts you, you have no right to sue the employer. The reason for this is that back in the early 1900’s prior to workers’ compensation law, an employee could sue his employer if the employer was negligent, however, those suits would typically take years and in the meantime the employee would receive no benefits. Also, if the employer could prove that the employee was contributory negligent or assumed the risk, then the employee would not be able to sue the employer and the employee would receive no benefits. On the other hand, if the employee could prove the employer was negligent he could then sue the employer and in some cases obtain a large judgement. Obviously an employer is not likely going to keep an employee who is suing him.Government would often be left with the burden of taking care of the poor who were injured on the job. As a compromise between labor, the employers, employees and the government the workers’ compensation system was set up so that an employee could recover workers’ compensation benefits quickly even if the employee was contributory negligent or assumed the risk and even if the employee could not prove that the employer was negligent. However, in exchange for these rights the employee had to give up the rights to sue the employer. The government passed a law agreeing that the employees would give up the rights of lawsuits against the employers in exchange for the workers’ compensation system and that is why today employees cannot sue their employers. Based upon this compromise, the employee in theory is provided prompt medical care, paid quickly for lost time, and hopefully returns to work. Government no longer has to take care of the employees injured on the job as there is workers compensation insurance to cover the situation. Workers Compensation claims consist of two types of injuries, accidental personal injuries and occupational diseases. Accidental personal injury is defined as “an accidental injury that arises out of and in the course of employment.” Md. LABOR AND EMPLOYMENT Code Ann. § 9-101(b) (1). Based upon the above definition, there are three elements to an accidental personal injury: 1) accidental injury 2) arises out of the employment, and 3) in the course of the employment. Harris v. Board of Education of Howard County, 375 Md. 21, 825 A.2d 365 (2003). With regard to the first element, accidental injury, for years, the Court of Appeals required an unusual activity in order to be a compensable claim. Slacum v. Jolley, 153 Md. 343, 138 A. 244 (1927). This particular element was eliminated in the case of Harris v. Board of Education of Howard County. Under the plain language of the statute, what must be accidental is the injury and not the activity giving rise to the injury. The Court of Appeals stated in the Harris opinion: “consequently what must be unexpected, unintended, or unusual is the resulting injury and not the activity of which the injury arises”. Id. In addition to the requirement of an accidental injury, there are two other elements in order to sustain an accidental personal injury and those elements include, arising out of the employment and the second element is in the course of the employment. “Arises out of” refers to the causal connection between the employment and the injury. An injury arises out of employment when it results from some obligation, condition, or incident of employment. Montgomery County v. Wade, 345 Md. 1, 9-10, 690 A.2d 990, 994 (1996). The phrase ” ‘arises out of’ requires, not that the performance of an employment-related task be the direct or physical cause of the injury, but, more broadly, that the injury be incidental to the employment, such that it was by reason of the employment that the employee was exposed to the risk resulting in the injury.” Mulready v. University Research Corp., 360 Md. 51, 57, 756 A.2d 575, 578 (2000). Livering v. Richardson’s Restaurant, 374 Md. 566, 823 A 2d 687 (2003). Maryland has adopted the positional-risk test to determine whether an injury arose out of employment. See Mulready, 360 Md. at 66, 756 A.2d at 583; Wade, 345 Md. at 11, 690 A.2d at 994; Knoche, 282 Md. at 455-57, 385 A.2d at 1183-84. In Mulready, in the context of a traveling employee, we noted that ‘[u]under the positional-risk test, ‘an injury arises out of employment if it would not have occurred if the employee’s job had not required him to be in the place where he was injured.” 360 Md. at 59, 756 A.2d at 579. “An injury arises “in the course of employment” when it occurs: (1) within the period of employment, (2) at a place where the employee reasonably may be in the performance of his duties, and (3) while he is fulfilling those duties or engaged in doing something incident thereto. Pertinent inquiries include: When did the period of employment begin? When did it end? When was its continuity broken? How far did the employee, during the period of employment, place himself outside the employment? Thus, “in the course of employment” refers to the “place, time and circumstances under which the accident resulting in the injury or death occurs.” Id. An occupational disease is an ailment, disorder, or illness which is the result of work under conditions naturally inherent in the employment and which is ordinarily slow and insidious in its origin. What this means is if you work under the same conditions for a long period of time or do the same type of activity over and over again over a long period of time and this eventually causes the body to wear out or causes some disease to occur and if this is very common in the type of work that you do, then these are considered occupational diseases and are a compensable injury covered by workers’ compensation. You cannot be fired for filing a workers’ compensation claim. Maryland Law provides that it is actually a criminal offense to fire someone for filing a workers’ compensation claim, subject to one year in jail and One Thousand Dollar ($1,000.00) fine. However, if an employer needs to replace you because your job is essential and they need someone to do the work, they do have the right to replace you and that may result in your job being not available when you return back to work. If you can prove that they fired you specifically for filing the claim only, then you may have a right to file criminal charges, as well as a possible civil suit. If they do replace you, you may be eligible for vocational rehabilitation. In order to avoid job loss it is essential that you keep your employer up to date on your treatment status and your return to work status. Frequent contact with your employer is the key. If your employer never hears from you, they may assume you are not coming back to work and look for someone else. Remember that your employer hired you for a reason. The reason is because they need you. When you are out, the need still remains and the work still needs to be done. Keep this in mind and try to go back to work as soon as it is physically possible. The longer you are out of work the more likely it is that you will be replaced. If you are able to work, it is not necessary that you miss time from work in order to have a workers compensation claim unless it is an occupational disease claim. If it is an occupational disease claim, then there must be some disablement, so if necessary, you may want to miss at least 3 days or you will not have a ripe occupational disease claim. If you cannot return to work full duty, ask the doctor if you can return to work on light duty. If the doctor returns you to work on light duty, make sure he tells you what your work related restrictions are. Take those restrictions back to your employer and see if he can accommodate you.Your employer will appreciate that you are making an effort and can see first hand what problems you are having. If your employer does not accommodate you, at least he knows that the reason you are not there is because he cannot accommodate you. The employer is likely to accommodate you because the insurance company will lie to him and tell him he has to accommodate you, not telling the employer that the basis for their advice is because the insurance company does not want to continue to pay you. While you are unable to work, the workers’ compensation insurance company is responsible to pay two-thirds of your average weekly wage for every day you miss from work with a doctor’s excuse, except you do not get paid for the first three days until you have missed two weeks of work. These payments are called temporary total benefits and are paid until the time when you have reached maximum medical improvement which means that they are paid until such time as the doctor says that your condition is now permanent and you will not get any better and no further treatment will help you. Your average weekly wage is calculated by adding the last 14 weeks of gross pay together and then dividing by fourteen and this produces your average pay over that period. Workers compensation then pays you two thirds of that number. If you have missed time from work for other reasons during those previous weeks than this will affect the amount you are paid while you are off. If you worked more hours around the time of the accident but less hours for other weeks this will affect the average. In addition the employer has the right to have the injured employee seen by one of their doctors in order to determine if the treatment that the injured worker is receiving is necessary and reasonable, however, they have no right to demand that you treat with the doctor chosen by the employer. It is not unusual for the insurance company to try and limit the amount of treatment you receive or refuse to authorize a visit to a doctor of your choice. Most doctors’ offices will not see you without a prior authorization from the insurance company. Doctors fear they will not get paid unless there is an authorization. While this is not required by law, doctors do not want to have to go to court in order to be paid. If I handle your workers compensation case, I have a list of doctors that do not require a pre authorization before they will see you. Even after you receive a permanent injury award you still have a right to go back to the doctor for additional treatment unless the medicals are closed and a medicare set aside is set up. If as a result of the injuries received at work you are no longer able to do the type of work you were doing before, then the workers’ compensation insurance company must pay to provide either job placement or vocational rehabilitation to retrain you for a new type of work. Under Maryland law if the insurance company finds you work or trains you for a new job, they must provide suitable gainful employment which is defined as work providing wages as close to as possible as to what you were making before, taking into consideration your injuries, your education, your work experiences and any other relevant factors. You will not automatically receive vocational rehabilitation and/or retraining if you are unable to return back to the type of work you were doing before. The Maryland Workers’ Compensation Commission favors job placement over vocational rehabilitation. Vocational rehabilitation is only provided as a last resort when other employment is not obtainable at a suitable wage. All efforts are exhausted in order to find work either with the old employer or a new employer before providing any kind of vocational rehabilitation, including training or schooling. When you are unable to return back to the type of work you were doing before the work -related accident, the insurance company will assign a vocational rehabilitation counselor to assist you in your job search. You and your lawyer do have input on who will be your counselor. Once a counselor is chosen, you will meet with the counselor. In theory, your counselor is an expert on what types of jobs are available for people with your physical limitations, education, work experience, transferable skills, and age. They also know the availability of such jobs in your area as well as how much they pay. These counselors can be extremely helpful in guiding you in the right direction. Too often, employees continue to look at jobs that they once were able to do but can no longer physically do. The vocational counselor is an excellent resource to lead you in a new career direction that you may not have thought of on your own. It is not the job of the counselor or your former employer or the insurance company to provide you with a new job or give you a job, but only assist you in your search. While participating in your search, you will continue to receive temporary total benefits. In fact, you are being paid by the insurance company to look for work and you must make it your full -time job to do so. After you have returned to work and have completed your treatment and your condition is now permanent and will never get any better, then you are entitled to a permanent injury award. That award is determined based upon what the doctor says your permanent disability rating is and also looks at factors including permanent wage loss, as well as many other factors, including education, other injuries that you have had, age, experience and your actual complaints. Typically in order to prepare for a permanent injury hearing, the claimant is sent to a doctor by both the claimant’s attorney and the insurance company and then the case is scheduled for a hearing. At a workers’ compensation hearing any medical records are automatically admissible without the necessity of bringing the doctor in to testify. Normally, the claimant testifies first and will testify as to what injuries they received, how they received those injuries, what medical treatment they had and what period of time, if any, they were off from work. On a claim for permanency the claimant will testify as to any permanent complaints they have. The insurance company lawyer will then be able to ask the claimant questions regarding any prior injuries they may have had, any treatment that they may need in the future, whether they had any other accidents after the accident. A typical workers’ compensation hearing may be as short as five or ten minutes or can last as long as one or two hours. Permanent injury awards are based upon a percentage of disability to a certain part of the body. For instance, if the Workers’ Compensation Commission determines that you have a ten percent disability to your back – that award is worth fifty weeks of benefits at a set amount per week. Each part of the body has a different value (meaning a different amount of weeks) for a total loss of that particular body part and when the Workers’ Compensation Commission finds a certain percentage of that body part that translates into a certain amount of weeks. For instance – the back is worth five hundred weeks and if the Commission awards you ten percent disability of the back, that would be ten percent of five hundred which would be fifty weeks. Each week of benefit is paid out at so much a week. All workers’ compensation permanency awards are dated back to the date you last received a check (i.e. a temporary total check). If there has been some period of time since you last received any money in this particular case and the award is back dated to that particular date and started from that date, you will receive in a lump sum weekly benefits from the date you last received benefits up to the date of the award. Any benefits that are due after the date of the award will be paid weekly. In typical cases where the injuries are relatively minor, most, if not all of the benefits will be paid in a lump sum, since the period of weeks from when you last received a check to the time when you have a hearing, exceeds the amount of weekly benefits awarded so that all of the benefits are due at that point. In cases that are more severe, the claimant typically receives a smaller lump sum and then weekly benefits, because there is usually less of a gap in benefits from the time you last received a check unto the time you received a permanency award. How does the Workers’ Compensation Commission determine how much money is paid each week as part of the permanency award? Permanency awards are divided into four different categories. The first category is seventy-four weeks of benefits or less, which is typically an award of fourteen percent or less and those are paid at the lowest rate per week. The next tier of benefits is any award from seventy-five weeks to two hundred and forty-nine weeks which is typically an award of fifteen percent to forty-nine percent and those awards are paid at the second tier rate. Awards of fifty percent due to the accident and higher are paid at the third tier rate and the highest rate. Finally, permanent total benefits are paid also at a high rate and are paid for the rest of your life. If you are not able to go back to any type of work, including the type of work you used to do, as well as any other job, then you are permanently and totally disabled and may be entitled to receive workers’ compensation benefits for the rest of your life, even it was your intention to retire at the age of sixty-five. You may be entitled to get paid for conditions that existed prior to a work- related accident by a fund called the Subsequent Injury Fund. The Subsequent Injury Fund pays for injuries, diseases or any other conditions that exist before you injured yourself at work, as long as these pre-existing disabilities equal at least a twenty-five percent disability to the body and further that as a result of the work related accident you will also receive a disability of at least twenty-five percent disability to the body. If so, not only will you get paid by the workers’ compensation insurance company for the injuries due to the accident, but may also get paid for these pre-existing conditions that had nothing to do with the accident, but existed prior to the accident. These additional benefits are paid for by the Subsequent Injury Fund. Every thing you ever wanted to know about the subsequent injury fund. Subsequent Injury Fund-What is it? Under Maryland workers’ compensation law, the employee has the right to hire an attorney of his own choice. An attorney may not charge an upfront attorney fee in order to represent someone for a workers’ compensation claim. Any attorney fees for a workers’ compensation claim are regulated by the Workers’ Compensation Commission and are based upon a fee schedule set by the Commission. The attorney fees are based upon a percent of any award that is made in the workers’ compensation claim and if there is no award there can be no attorney fee. The employer and the insurance company will have an attorney to represent them in these particular matters. The Workers’ Compensation Commission has Commissioners who are bound by the Maryland Workers’ Compensation Law. Workers’ Compensation Law is very complicated and is usually a specialized area that only certain attorney’s practice in. A person who is injured on the job and goes to a workers’ compensation hearing without an attorney will be at an extreme disadvantage since everyone else at the hearing will be an attorney, including the Workers’ Compensation Commissioner, as well as the employer’s attorney. In a worker’s compensation claim, insurance companies typically set up the plaintiff or claimant for an evaluation to be done by the insurance company doctor. Insurance companies call this an independent medical evaluation; however, this is actually an insurance company’s medical evaluation. The insurance companies carefully and deliberately pick what doctors they want to perform specific evaluations. Although most doctors are honest, the fact remains that they have been selected by the insurance company to perform this exam because they have given favorable results in the past. Maryland workers compensation lawyers know most of these doctors are not in fact independent, have frequently done work for that insurance company and typically only work for insurance companies, rather than injured parties. These doctors solicit business from the insurance companies by offering to do medical evaluations for them knowing that the insurance company will not refer the doctor patients again unless the reports are favorable to the insurance company. Workers Compensation Attorney Marc J. Atas has compiled a list of the most frequently asked questions. If your question is not answered here, please feel free to contact us the question and we will be happy to answer it. What is a Medicare Set Aside in a Maryland Workers Compensation Claim? In a worker’s compensation claim, normally the insurance company for your employer is responsible for your medical treatment for the rest of your life. The issue of whether Medicare was going to pay for expenses related to workers compensation cases or third -party liability cases has been out there since 1981. The answer to this question was quickly answered in the workers compensation arena by Medicare with the requirements that Medicare must be considered by all parties in a worker’s compensation case before a case is settled and the medicals are closed. What is a Rating in a Maryland Workers Compensation case? The Worker’s Compensation commission can make an award for permanent disability as a result of a work-related accident. After you have returned to work and have completed your treatment, then you may be entitled to a permanent disability award. That permanent disability award is determined based upon what both workers compensation attorneys doctor’s says your permanent impairment rating is and also looks at many other factors including permanent wage loss, education, other injuries that you have had, age, experience and your actual complaints. In order to make determinations of permanent disability, each party to the case including the claimant’s workers compensation attorneys as well as the insurance company adjuster or insurance company lawyer will obtain a permanent impairment rating. The permanent impairment rating is done by a medical doctor or in the case of a mental disability can but it be done by a medical doctor or by a psychologist. How long does a Maryland Workers Compensation case take? A Maryland work injury attorney knows there is no time limit as to how long a workers’ compensation case will take. Because the case can stay open for the rest of your life, some case have continued for 20 or 30 years or longer. The general flow of a workers’ compensation case handled by a Maryland work injury attorney is as follows: The claimant treats with the Doctor until the doctor decides claimant is at maximum medical improvement and will not get any better or until the claimant stops treatment on their own. The claimant is paid for all time missed until they go return to work. The timing of these two steps is totally within the control of the doctor and claimant. Once the claimant has completed treatment, then a a Maryland work injury attorney has to determine whether claimant can return back to the type of work they performed at the time of the accident. If the Maryland work injury attorney determines Claimant can- not return to the type of work they performed at the time of the accident, then claimant will go through the vocational rehabilitation process. A Maryland work injury attorney knows the vocational rehabilitation process timing depends upon how long it takes you to find a job or how long your retraining program is although retraining is limited to two years. Once your treatment is complete and you are back to work, then a Maryland work injury attorney knows you can move forward to receive your permanent injury award. In order to get the permanent injury award, you need to obtain a rating from a Doctor picked by your lawyer who will hopefully give a favorable rating. Then the insurance company will schedule a rating with an insurance company doctor and then your case will be scheduled for a hearing. This process takes about 3 to 6 months. Once you have your actual hearing with your Maryland work injury attorney, the decision from the Workers’ Compensation Commission can take as long as 30 days. The Insurance company then has 15 days to pay the order. How long do I have in order to file a Maryland Workers Compensation Claim? In accidental injury cases , the statute of limitations require that the claim must be filed within two years of the date of accident. Unlike an occupational disease, an accidental injury is usually one specific event that took place at a specific time and place and injury is usually noticed immediately or shortly thereafter. Accidental injury claims require an accidental injury, arising out of and in the course of your employment. Ex. I slipped and fell at work and injured my back. CAN I PROTECT MY MARYLAND WORKERS COMPENSATION AWARD FROM A CHILD SUPPORT LIEN? Are Maryland Workers Compensation benefits taxable? Amounts you receive as workers’ compensation for an occupational disease or accidental injury on the job are not taxable by the state or federal government if they’re paid under the Maryland Workers Compensation law. The exemption also applies to Maryland Workers Compensation death or dependent survivor’s claims as well as temporary total, medical benefits, vocational benefits and your permanent injury award or permanent total award as well as money from the Subsequent injury fund. Do the Insurance companies hire private investigators to follow you in a Maryland Workers Compensation claim? The Insurance companies will occasionally hire a private investigator to follow you if you have filed a worker’s compensation claim. If treatment tends to last longer than expected, if the injured party gives the insurance adjuster a hard time, if the injuries seem exaggerated compared to the type of accident or if the claimant is out of work for longer than expected, then the insurance company may hire a private investigator to follow you. Who is entitled to workers’ compensation benefits? Any employee injured on the job regardless of whether the accident is the fault of the employer or the fault of the employee, unless the employee is guilty of gross misconduct. The employee can file a worker’s compensation claim even if the accident is totally his fault. The Employee does not have to prove the employer or anyone else is at fault. There are two types of worker’s compensation claims. The first type of worker’s compensation claim is an accidental personal injury claim. For an accidental injury claim the employee needs to be able to prove that a specific time and place at work the employee was injured. The second type of worker’s compensation claim is an occupational disease claim. Occupational disease claims occur when due to repetitive type work over an extended period of time and in certain occupations the employee develops a work-related injury. In order to file a Maryland workers compensation claim, the State of Maryland must have jurisdiction over the claim. Maryland covers employees that 1) work in Maryland or 2) work regularly in Maryland, but are hurt outside of Maryland on a job that is casual, incidental or occasional or 3) injured while working wholly outside United States under a contract of employment made in Maryland. In order to file a Maryland workers compensation claim, he claimant must be an employee and not an Independent contractor. An independent contractor is one who contracts to perform a certain work for another according to the contractor’s own means and methods, free from control of his employer in all details connected with the performance of the work, except as to its product or result. Workers Compensation claims are not covered under Maryland law if they are covered by federal law such as federal employees and longshoreman. Federal employees and longshoreman have their own federal workers compensation system. In order to file a Maryland workers compensation claim, employment must be more than casual. Casual employment is found when the work is occasional, incidental, or a usual concomitant of the employer’s business. Maryland recognizes specific classes of employees that might not be considered employees under the regular definition. These employees include distributors of newspapers, farm worker, helper, jockey, juror, miner, minor, prisoners, school aide, vanpool operators, and volunteer fireman. Am I suing my employer when I file for workers’ compensation benefits? Every employer in the State of Maryland is required to purchase workers’ compensation insurance. Any claim made is to be paid by insurance company your employer has named. All workers’ compensation benefits are paid by that insurance company and as long as there is insurance, the employer is not responsible for any payments. Other than a workers’ compensation claim, no claim is actually filed against your employer, although he is notified that a claim has been filed with the Workers’ Compensation Commission in order to protect you if you are injured on the job. Bottom line, no you are not suing your employer. Employees are provided by the employer with many benefits as part of their wage package. Some benefits like workers compensation, social security, minimum wage and unemployment are government mandated and others like vacation pay, sick leave, gas card, personal leave, company picnics are volunteered by the employer. Whichever one of these benefits you apply for and receive it is part of your employment benefits. An employee should have no more reservations filing for a work-related injury than for asking for their vacation pay. When workers compensation was invented in the early 1900’s, the intention was to relieve the employee, employer and government of the hardships created when an employee is injured on the job and to place that burden on the workers compensation insurance company who was paid a premium to insure such a loss. Just like life insurance protects your family in case of untimely death, workers compensation insurance protects all parties in case of untimely injury at work. In fact, the law specifically provides that you cannot sue the employer and your only remedy most of the time for your injuries no matter how serious is usually workers compensation except under very limited circumstances. Under Maryland Workers’ Compensation law unless the employer intentionally hurts you, you have no right to sue the employer. The reason for this is that back in the early 1900’s prior to workers’ compensation law, an employee could sue his employer if the employer was negligent, however, those suits would typically take years and in the meantime the employee would receive no benefits. Also, if the employer could prove that the employee was contributory negligent or assumed the risk, then the employee would not be able to sue the employer and the employee would receive no benefits. As a compromise between labor, the employers, employees and the government the workers’ compensation system was set up so that an employee could recover workers’ compensation benefits quickly even if the employee was contributory negligent or assumed the risk and even if the employee could not prove that the employer was negligent. However, in exchange for these rights the employee had to give up the rights to sue the employer. The government passed a law agreeing that the employees would give up the rights of lawsuits against the employers in exchange for the workers’ compensation system and that is why today employees cannot sue their employers. Workers compensation does not however prevent you from suing a negligent third party. Sometimes you may be able to sue a co-employee or your supervisor or another company and or its employees working on the same job. The law says an employer can not fire someone for filing a workers compensation claim.In reality, if an employer wants to get rid of you badly enough, he will still fire you and probably get away with it. Maryland Law provides that it is actually a criminal offense to fire someone for filing a workers’ compensation claim, subject to one year in jail and One Thousand Dollar ($1,000.00) fine. However, As far as I know, no states attorney has ever filed charges against an employer for firing an employee for filing a workers compensation claim. When I first started practicing law, i sent a client over to the States attorney to see if they would press charges and the states attorney did not know what he was talking about. I then sent the client back to the states attorney with a copy of the law and they still refused to prosecute. One employee filed a civil suit against the employer for firing him for filing a workers compensation claim.You would think the appeals court would see the light. The appeals court ruled, however, if an employer needs to replace you because your job is essential and they need someone to do the work, they do have the right to replace you and that may result in your job being not available when you return back to work. If they do replace you, you may be eligible for vocational rehabilitation as part of your workers compensation case if you can prove you will never be able to do your old job due to your work related injuries. Employers get around the criminal law by finding other reasons to fire you after you are injured on the job. If you were fired the day the employer found out you actually filed the claim perhaps someone would prosecute them. The employer is usually smart enough to wait and come up with another excuse.Because the law says firing for filing the claim, an employer firing you because you were injured on the job , but before you file the claim would probably not qualify. If you can prove that they fired you specifically for filing the claim only, then you may have a right to file criminal charges, as well as a possible civil suit. The workers’ compensation insurance company is responsible to pay for all of your medical treatment for the rest of your life, as long as the medical treatment is related to the work related accident. (5) artificial arms, feet, hands, and legs and other prosthetic appliances. If you reach a full and final settlement agreement with the insurance company, then those medical expenses could be closed. Most workers’ compensation cases stay open and can only be closed at the request of the employee. The issue of whether medicare was going to pay for expenses related to workers compensation cases or third party liability cases has been out there since 1981. The answer to this question was quickly answered in the workers compensation arena by medicare with the requirements that medicare must be considered by all parties in a workers compensation case before a case is settled and the medicals are closed. In response to these issues the Maryland Workers Compensation board has taken the lead by requiring that all full and final settlement agreements that close the medicals take medicare into consideration by way of a medicare set aside and failure to do so will result in denial of the settlement approval.The Maryland Workers Compensation Commission Requires that all settlements have the following language in the body of the settlement. “Employer and Insurer also agree to reimburse Medicare for any provisional or conditional payments made by Medicare that are ultimately determined to be the responsibility of the employer and insurer, up to the date of approval. How do I get my lost wages while I am out of work? The workers’ compensation insurance company is responsible to pay two-thirds of your average weekly wage for every day you miss from work with a doctors excuse, except you do not get paid for the first three days until you have missed two weeks of work. These payments are called temporary total benefits and are paid until the time when you have reached maximum medical improvement which means that they are paid until such time as the doctor says that your condition is now permanent and you will not get any better and no further treatment will help you. Your average weekly wage is calculated by adding the last 14 weeks of gross pay before the accident together and then dividing by fourteen and this produces your average pay over that period. 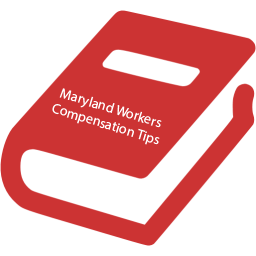 Workers compensation then pays you as part of your Maryland Workers Comp benefits two thirds of that number. If you have missed time from work for other reasons during those previous 14 weeks than this will affect the amount you are paid while you are off. If you worked more hours around the time of the accident but less hours for other weeks this will affect the average. Overtime is included as long as it occurred within the 14 weeks. Vacation or sick time for which you were not paid may be excluded from this calculation. In calculating wages in addition to your salary, the Maryland workers comp commission must also consider housing allowance, lodging allowance, personal use of business vehicle, meals provided by employer, and rent subsidy provided by employer. Fringe benefits such as health insurance, pension benefits, 401K, IRA, lost vacation time are not included in the calculation of average weekly wage. This seems unfair since health and pension benefits could exceed the value of actual wages paid and often result in a lower wage because these benefits are paid in lieu of wages. Tips are included as part of the average weekly wage. In calculating average weekly wage, periods of involuntary layoff and involuntary authorized absences are not included in the 14 weeks.Average weekly wage calculations should only include the weeks the employee actually worked as well as vacation days paid.If you worked less than 14 weeks because you are a new employee than only the actual weeks worked should count.If your employer laid you off for a week or longer or failed to put you on the schedule for a week or longer those weeks should not count.Bonuses owed or incurred prior to the injury but not paid until after the injury should be considered. Under the Maryland Workers’ Compensation law the employee has the right to choose whatever doctor he would like to see, as long as the doctor is willing to accept payments under the Maryland Workers’ Compensation fee schedule. In addition the employer has the right to have the injured employee seen by one of their doctors in order to determine if the treatment that the injured worker is receiving is necessary and reasonable, however, they have no right to demand that you treat with the doctor chosen by the employer. In the real world, the system works differently.While the employee has a right to treat with the doctor of his choice, that choice is severely limited. First, many of doctors do not want to get involved in litigation and therefore do not want to accept patients with workers compensation claims.Numerous doctors do not like to do the paperwork the insurance companies demand. Few doctors like the delay in payment as the adjusters do not make paying medical bills a priority. The workers compensation law has a fee schedule that many doctors feel is too low so they are not willing to work for the low fees. In the real world most doctors will not see you unless the insurance company provides an authorization and then timely pays you. Most insurance adjusters want you to go to their doctor so they usually refuse to provide the authorization.Then the only way to get authorization is by court order which can take months. A few doctors will see you without authorization and are willing to deal with the delays and the litigation. However these doctors work on volume meaning they do alot of workers compensation only and are use to the red tape. These are the doctors that most claimant workers compensation lawyers refer their clients to. The insurance companies have company clinics that they have contracts with, but they sell themselves to the insurance companies as insurance and employer friendly. These are to be avoided as their main interest is to provide low cost care not high quality care. What happens if I cannot return back to my old job because I am physically unable to do the job any longer? Once you are able to return back to work at a new job in a new field, then the next step in your case will be a permanent injury award.If you return to work in your old job or in a new job in a new field but make the same salary or more than you were making at the time of the accident, you will receive a permanent injury award but it will be less than if you had actual wage loss.If you return to work making less than you were at the time of the accident than your permanent injury award should be higher to make up your wage loss although it will not make up dollar for dollar all that you have lost. If you are unable to find work because you did not cooperate in the vocational rehabilitation process, your permanent injury award will be minimal. If you find a job and get fired because you did not try very hard your permanent injury award will be minimal. If you are unable to return back to any substantial gainful employment because of your injuries then you may be entitled to permanent total benefits that could pay you benefits for the rest of your life. Will I automatically receive vocational rehabilitation and/or retraining if I am unable to return back to the type of work I was doing before? If as a result of the injuries received at work you are no longer able to do the type of work you were doing before the accident, then the workers’ compensation insurance company must pay to provide either job placement or vocational rehabilitation to retrain you for a new type of work. Under Maryland law if the insurance company finds you work or trains you for a new job, they must provide suitable gainful employment which is defined as work providing wages as close to as possible as to what you were making before the accident, taking into consideration your injuries, your education, your work experiences and any other relevant factors. If I cannot sue my employer because of the injuries that I sustained at work, what benefits, if any, can I receive? Under workers’ compensation law you are entitled to get paid temporary total benefits which is two-thirds of your pay for every day you missed, except you don’t get paid for the first three days unless you miss two weeks. You are entitled to have all treatment paid for the rest of your life as long as the treatment is related to the accident. Finally you are entitled to a permanent injury award, which is a substitute for an award you might have received if you were allowed to sue someone and it is something like, although not equal to a pain and suffering award. The first of the workers compensation benefits you received is medical treatment. The medical treatment must be causally related to the accident. Medical treatment can include seeing the doctor, going to the hospital, having surgery, physical therapy, medical devices, etc. and you’re entitled get reimbursed for any mileage to and from the doctor. The medical treatment covers you for the rest of your life as long as it’s related to the accident. What is a permanent injury award and how is it determined? After you have completed your treatment and your condition is now permanent and will never get any better, then you are entitled to a permanent injury award. That award is determined based upon what the doctor says your permanent disability rating is and also looks at factors including permanent wage loss, as well as many other factors, including education, other injuries that you have had, age, experience and your actual complaints. Typically in order to prepare for a permanent injury hearing, the claimant is sent to a doctor by both the claimant’s attorney and the insurance company and then the case is scheduled for a hearing. At a workers’ compensation hearing for a Md workers comp settlement any medical records are automatically admissible without the necessity of bringing the doctor in to testify. Normally, the claimant testifies first and will testify as to what injuries they received, how they received those injuries, what medical treatment they had and what period of time, if any, they were off from work. On a claim for permanency in order to receive the Md workers comp settlements the claimant will testify as to any permanent complaints they have. The insurance company lawyer will then be able to ask the claimant questions regarding any prior injuries they may have had, any treatment that they may need in the future, whether they had any other accidents after the accident. A typical workers’ compensation hearing may be as short as five or ten minutes or can last as long as one or two hours. Permanent injury awards in a Md workers comp settlement are based upon a percentage of disability to a certain part of the body. Each part of the body has a different value (meaning a different number of weeks) for a total loss of that particular body part and when the Workers’ Compensation Commission finds a certain percentage of that body part that translates into a certain number of weeks. For instance – the back is worth five hundred weeks and if the Commission awards you ten percent disability of the back, that would be equal to ten percent of five hundred weeks which would be fifty weeks. Each week of benefit is paid out at so much money per week. All workers’ compensation permanency awards are dated back to the date you last received a check (i.e. a temporary total check). If there has been some period of time since you last received any money in this particular case then the award is back dated to that particular date and started from that date, you will receive in a lump sum weekly benefits from the date you last received benefits up to the date of the award. Any benefits that are due after the date of the award will be paid weekly. In typical cases where the injuries are relatively minor, most, if not all of the benefits will be paid in a lump sum, since the period of weeks from when you last received a check to the time when you have a hearing, exceeds the amount of weekly benefits awarded so that all of the benefits are due at that point. In cases that are more severe, the claimant typically receives a smaller lump sum and then weekly benefits, because there is usually less of a gap in benefits from the time you last received a check unto the time you received a permanency award. Sometimes permanency awards include money for preexisting conditions and those awards are paid by the Subsequent Injury Fund. What happens if I can never go back to work again at any type of job? If you are not able to go back to any type of work, including the type of work you used to do, as well as any other job, then you are permanently and totally disabled and may be entitled to receive workers’ compensation benefits for the rest of your life, even it was your intention to retire at the age of sixty-five. Another form of an occupational disease occurs when manifestation of symptoms is consistent with those known to result from exposure to a biological, chemical, or physical, agent that is attributable to the type of employment in which the employee was employed. In order to have an occupational disease, there must be a disablement incurred by the employee as a result of the occupational disease. If you have a technical occupational disease-meaning the medical diagnosis, but miss no time from work, you may not have a compensable occupational disease. For that reason, it is important to make sure the doctor gives you 3 days off from work in order to recover from your injury and that you in fact take those three days off. If there is no lost time or the court does not accept your loss time as being due to the disabling condition, then it may be sufficient and necessary to argue that the disablement caused only partial disability. Many commissioners consider other sets of facts as disabling including,the necessity to take medication when accompanied by disabling symptoms even if no work is lost, you are in pain while working and cannot do all of the functions of your job, you need help from others to do your job or additional time to do your job or accommodations to do your job. What does conditions naturally inherent in the employment mean? In order to meet this test, you must first decide what the employee does. Then you need to see if other people who work for the same employer have the same condition. It is not essential that others in the same employment have the same injury especially if it is a small employer, but it is certainly helpful. It is not necessary that everyone in the employment has the same condition, but one or a few employees will begin to show a pattern. In addition, it is sufficient if employees who typically do the same type of job for other employers tend to develop this condition that would show it is inherent in the employment, even if no one at your employment has the condition as long as the job duties are similar. Can I be paid for injuries that I had prior to a work related injury, as well as the work related injury that I received? You may be entitled to get paid for conditions that existed prior to a work related accident by a fund called the Subsequent Injury Fund which pays for injuries, diseases or any other conditions that exist prior to injuring yourself at work, as long as these pre-existing disabilities equal at least a twenty-five percent disability to the body and further that as a result of the work related accident you will also receive a disability of at least twenty-five percent disability to the body. If so, not only will you get paid by the workers’ compensation insurance company for the injuries due to the accident, but may also get paid for these pre-existing conditions that had nothing to do with the accident, but existed prior to the accident. These are paid for by the Subsequent Injury Fund. The Subsequent Injury Fund is a Maryland State Government agency that was set up under the Maryland workers compensation law in order to compensate an employee injured on the job, who also suffers from significant pre-existing conditions. The law recognizes that when employees are injured on the job and already have preexisting conditions before the work- related injury, the total disability from a combination of the work- related injury as well as the pre-existing condition will be far worse than if the only injury the employee had was the work related injury. As an example, employee A has a preexisting medical condition to his right arm before the new work related accident. Because of the preexisting right arm medical condition, employee A has to rely on employee A left arm in order to do with every day work activities. (compensates for loss of use of one arm by using the other arm for support). Subsequently employee A has a work-related injury to his left arm so that he can no longer compensate for his right arm by using his left arm. Employee with 2 bad arms is potentially more disabled from a combination of the two medical conditions, compared to an employee who only had the work- related injury to left arm and no prior preexisting medical condition to right arm. Is a plaintiff’s status as an undocumented immigrant relevant and admissible evidence in this personal injury action? WHAT CAN AN EMPLOYERS ASK JOB APPLICANTS ABOUT MEDICAL CONDITIONS? Four Reasons Why You Can Not Be Fired For Filing a Maryland Workers Compensation Claim? Can You Video An Event Or Record A Phone Conversation In Maryland? How Much Do I Get Paid While Out On Workers Comp? How much does it cost to get a copy of my medical records? CAN I MAKE A MARYLAND WORKERS COMPENSATION CLAIM IF INJURED ON OR NEAR A PARKING LOT AT WORK? What Protections Are Available to the Injured Party at an Independent Medical Evaluation (IME)? Are Workers Compensation Settlements And Awards Marital Property Under Maryland Divorce Laws? Can I Re-Open My Workers Compensation Claim Once It Is Settled? Can an undocumented illegal alien file a Maryland Workers Compensation claim? Can Child Support Touch My Workers Compensation Benefits? Can I File A Maryland Workers Compensation Claim If I am Injured While on a Lunch Break or Coffee Break ? Can I file a Maryland Workers Compensation claim if I am injured on the company premises while playing basketball, softball, pool, or ping pong? How do I Obtain Medical Treatment for my Maryland Workers Compensation Case, When I Move to Another State? Can I Be Fired for filing a Maryland Workers Compensation Claim? How Long Does A Workers’ Compensation Case Take? Do I have the right to obtain my own Maryland work injury lawyer? Occupational Disease. Obtain the compensation you deserve! No Appeal Of Workers Compensation Commission Decision To Reserve On An Issue? What is considered a medical service covered by the Maryland Workers Compensation Statute? Call today for a free case evaluation or to ask a legal question regarding your Workers Compensation case.